What is the more stable conjugate base of cyclohex-2-en-1-one? We have to identify the structure of its more stable conjugate base obtained by proton transfer of cyclohex-2-en-1-one. In the following question, there are two possibilities: We can either remove a hydrogen nearest to carbonyl group or remove a hydrogen next to carbon carbon double bond. I think the later should be correct as it involves higher conjugation, but the answer is the opposite, they have removed hydrogen which is nearest to carbonyl group. Why is this position preferred? Browse other questions tagged organic-chemistry or ask your own question. What is the most acidic proton of 2-methylcyclopent-2-en-1-one? Which is the more stable enol form? When will organometallics act as base or nucleophile? What does addition of iodine and base do this case? 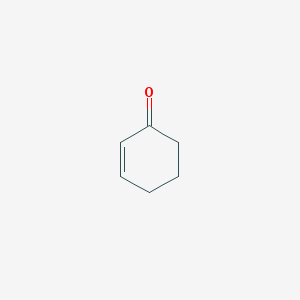 Deuteration of enone - mechanism?